The T 777 V3 AV Receiver (7 x 80W) is packed with the latest audio and video technologies, including Dolby Atmos® surround decoding, 4K UltraHD video pass-through, letting you enjoy every moment and detail of your favourite movies, music, and entertainment. The T 777 V3 hosts a wide array of connections for excellent flexibility and MDC slots allow for further feature expansion and future upgrades. With built-in BluOS™ technology, the T 777 V3 is part of the BluOS wireless multi-room ecosystem that allows you to stream hi-res audio, Internet radio, and popular music streaming services to your receiver with the control of a smartphone, tablet or desktop. 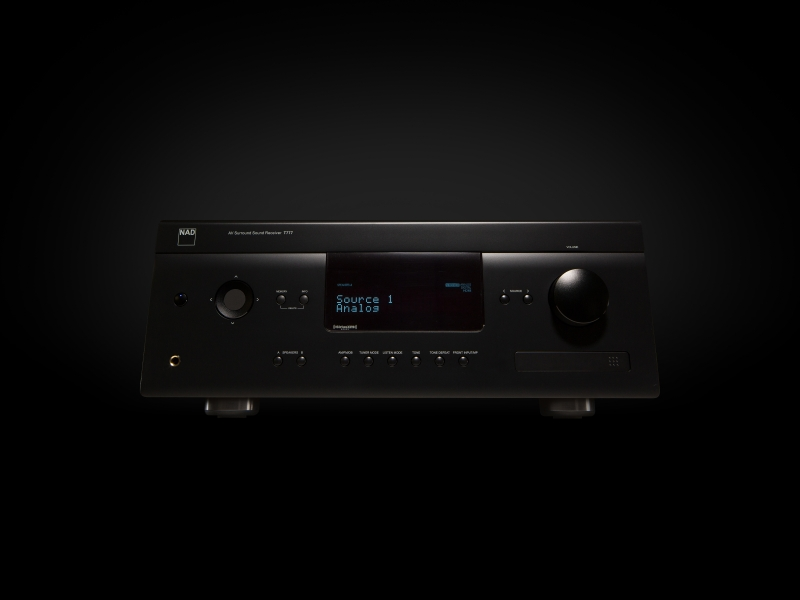 The T 777 V3 AV Receiver is packed with the latest audio and video technologies, including Dolby Atmos® surround decoding and 4K UltraHD (60p/4:4:4) video pass-through, letting you enjoy every moment and detail of your favourite movies, music, and entertainment. Designed with NAD’s legendary full disclosure approach to power ratings, the T 777 V3 features 80 watts of true power per seven channels and fills the room with rich cinematic sound. With built-in BluOS® technology, the T 777 V3 is part of the BluOS wireless multi-room ecosystem that allows you to stream hi-res audio, Internet radio, and popular music streaming services to your receiver with the control of a smartphone, tablet or desktop. Using the latest and most advanced 4K chipsets, the T 777 V3 can pass-through standard definition and high-definition video sources including 4K Ultra HD with full compatibility for the latest 4:4:4 Pure Colour 4K Ultra HD specification. It also features full HDCP 2.2 compatibility, letting you enjoy the highest quality 4K videos with digital copyright protection. The T 777 V3 with Dolby Atmos® transports you from an ordinary moment into an extraordinary experience, with moving audio that fills your room and flows all around you. There are many options for creating the perfect Dolby Atmos theatre using the internal amplifiers for a 5.1.2 system, or adding external amplifiers to create a 7.1.4 speaker array. Regardless ofthe setup, the T 777 V3 creates a captivating layer of sound above the listeners, with pinpoint location of audio objects, and delivering the full excitement and realism of Dolby Atmos soundtracks. NAD Speaker iQ is an easy way for you to set up your home theatre within minutes. Using the supplied microphone, and with the push of a button on your NAD remote control, NAD Speaker iQ sends test signals to the various speakers in the room and makes any necessary adjustments to the AVR’s audio commands to measure the distance between speaker and listening position, loudness, and frequency response of audio signals from each speaker. DIRAC Live® is arguably the most sophisticated digital room correction system available today, and is usually reserved for use in ultra-high end components costing several times as much as the T 777 V3. With Dirac Live® you can build the perfect listening environment that corrects for both the timing and colourations in sound using the supplied microphone and its powerful software. Featuring built-in BluOS, the world’s premium wireless streaming technology, the T 777 V3 lets you wirelessly stream lossless music to your home theatre system from local libraries or music streaming services. You can control the music from anywhere in the house using the BluOS Controller app for smartphone, tablet and laptop, including the ability to group other BluOS compatible wireless speakers and music players with the T 777 V3 for true multi-room music. 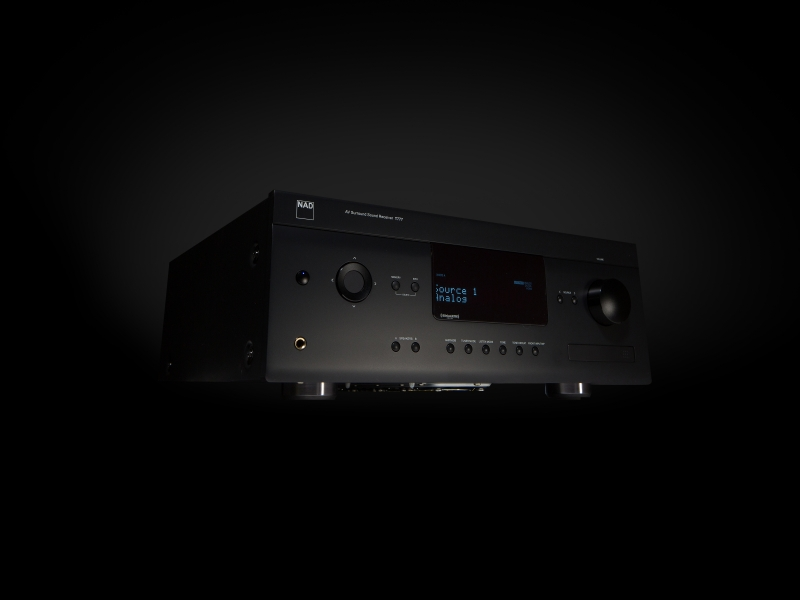 NAD’s award-winning Modular Design Construction lets you stay up to date with the ever-changing world of audio/video. 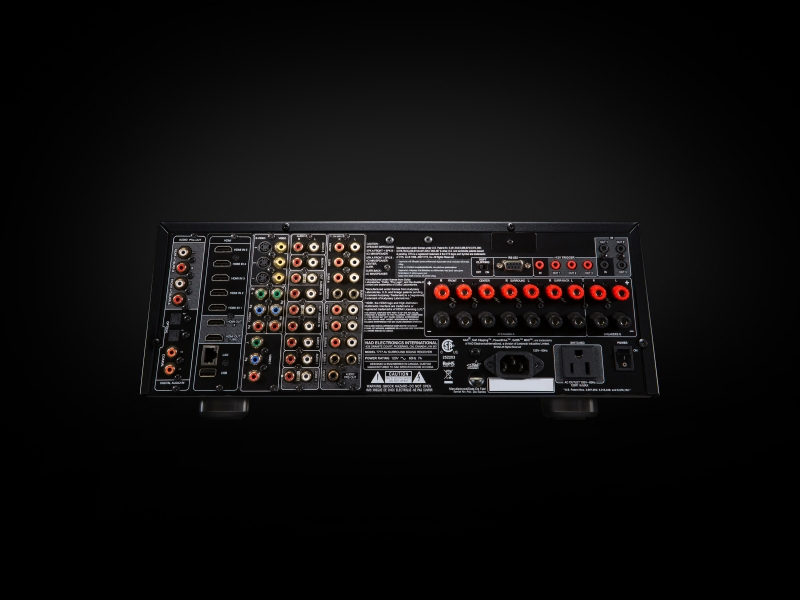 With the new VM 300 Video and AM 230 Audio MDC Modules built-in to the T 777 V3, all of your newly supported surround sound formats and video technologies are on easily removable plug-in cards which allows you to upgrade to future audio/ video formats without replacing the entire AV receiver. Simply plug in a new card and you’re ready for the future, no matter what’s out there. Blu-ray player or gaming console, and press play. Built for today’s custom integrators and smart homes, the T 777 V3 can use the power of BluOS and seamlessly be integrated into existing home automation systems from Control4, Crestron, URC, and RTI. Other connection options include IP control, IR outputs, programmable 12V triggers, and RS-232 port. *Note: The T 777 V3 will include a license for Dirac Live Lite with the option for advanced users to upgrade to a full version. A firmware upgrade will be required to enable Dirac Live. Check the package for more information on how to perform a firmware update and upgrade Dirac Live. 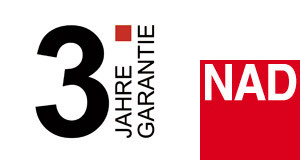 A firmware upgrade is also required to enable NAD Speaker iQ.